More economical than parking and more convenient than shuttle service, use B-Cabs Ride Easy... when traveling to and from Cochin International Airport. Call us when you return to Cochin Airport for a prompt pickup. Priority point-to-point package delivery service is also available through B-Cabs Ride Easy... from Kochi and Cochin Airport to any point in Kerala. There is no faster way to get local point-to-point delivery. Our reputation for prompt, reliable and courteous service makes us the top choice of most major businesses and organizations in Cochin. Don't worry about fighting traffic or finding parking. Does your company or organization use B-Cabs Ride Easy... regularly? Look into the benefits of a B-Cabs Corporate Account. Call our 24x7 B-Cabs Hotline: 04844046667 for more information. To see the best local sights and attractions of Kochi without the hassle of parking, call B-Cabs Ride Easy... Our drivers really know the area and will get you to your destination. Let B-Cabs Ride Easy... be your passport to convenience when traveling to the mall, shopping center or even the local shopping street. Leave the driving to us when you go out on the town. B-Cabs Ride Easy... is the perfect designated driver. We'll concentrate on the driving so you can focus on making the evening special. 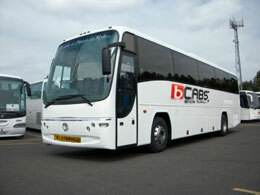 B-Cabs Ride Easy... will pick you up at your home or office and take you to any destination within the region. Just visiting the Cochin? We can pick you up and drop you off at any hotel or other destination. 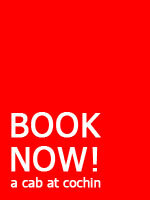 Many Kochi hotels have a direct line to our reservation center. We routinely checks weather and traffic conditions at Cochin city to inform our drivers of the safest and most direct routes. Our Customer Service Department features a state-of-the-art telecommunications system to enhance communication between customers, service reps and drivers. We provide vehicles on yearly contract basis by branding it with your logo and uniform enhancing you brand visiblity. At present we cater on a similiar bais to various hotels, hospitals and corporates. Some of our clients in this sector are BCPL, Bourhall..
Our expert transportation coordinators shall collect your requirements to create a custom package for your organisation. This ensures all of your needs are met. No organisation is too large or too small for our reliable and experienced transportation services! Whether your group is 1 or 50,000, we handle all of your event's transportation logistics so you won't have to worry! With your customized group transportation package, you'll receive all of the services you need to ensure reliable, expedient, and comfortable transportation. We have been provide reliable large group transportation services for events including Conferences, Conventions, Expos, Trade Shows and more! Cochin taxi service, kochi airport taxi, cochin airport taxi, rent a car cochin. All legal issues shall be dealt under Kochi Jurisdication.